I’m not an expert in architecture. I’ve visited a few churches in my life, but I’m not devoted to studying that type of building, or any others for that matter. So maybe I am missing a bunch of creative structures out in the world, yet to be discovered. I can imagine that many people would cite the Angkor temples and Petra as amazing achievements in human engineering. Since I have not viewed those sites yet, I can’t compare. I can only say how amazing I thought Sagrada Família was. The last time I was in Barcelona, I walked around the outside of the structure. It was a short trip to the city and I had not booked tickets online, before hand. I couldn’t imagine waiting in the extremely long lines. Instead, I took many pictures from the outside. I felt satisfied. At least I could say I understood the scale of the thing. Which is impressive in its own right. I mean, what has been built. If you have a look at this video, you can see just how much more is left to do by the estimated completion date of 2026. The work is remarkable. Creative as well. Actually, I don’t think either phrase accurately describes the level of ingenuity and innovation required to design and construct this complex. Again, I’m not an expert, so I won’t regale facts about the size of columns and loads of weight needing to be carried. I don’t know any of that. Big, is what I would say. I know, not technical at all. This marvel of engineering, creativity, design and unique aesthetic was largely the work of Antoni Gaudí. He is credited with being at the forefront of Catalonia modernism, a unique style of architecture seen throughout the region. Evidently, ‘Gaudí had a deep appreciation for his native land and great pride in his Mediterranean heritage. He believed Mediterranean people to be endowed with creativity, originality and an innate sense for art and design.’ I think this might give too much credit to people based on where they originate, but that is another discussion. 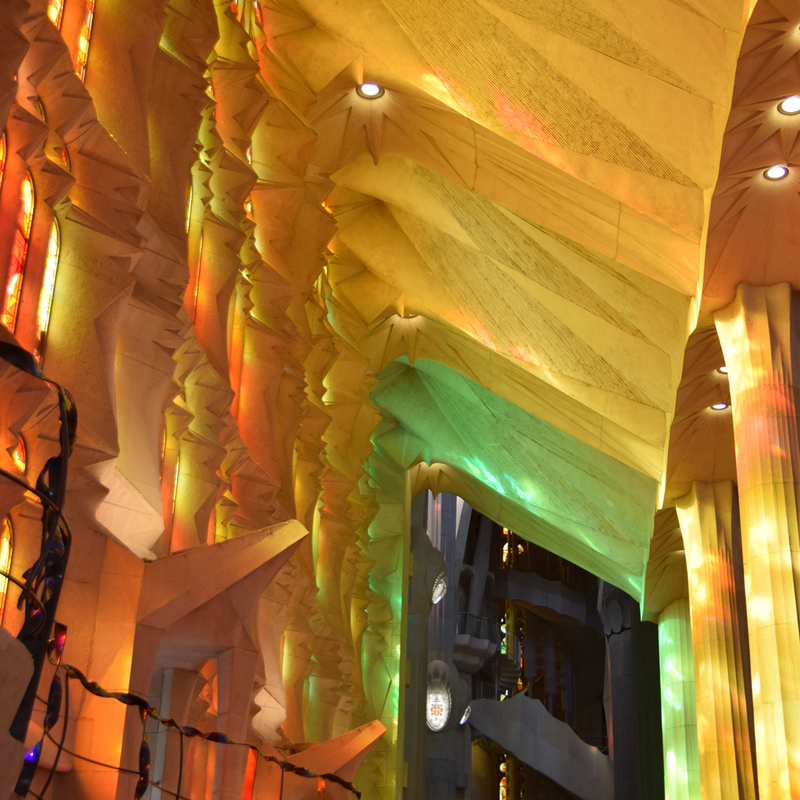 What I know for sure is that when you stand inside Sagrada Família you feel something, unlike being in any other building. The way the light plays on the color and designs of the windows, cascading over the architectural elements on the inside, is truly original. I felt completely in awe. If this is what creativity truly is, then I have a long road ahead of me! Of course creativity means many things. Thankfully it can be equated to the concept of beauty, only fully recognized in the eye of the beholder. 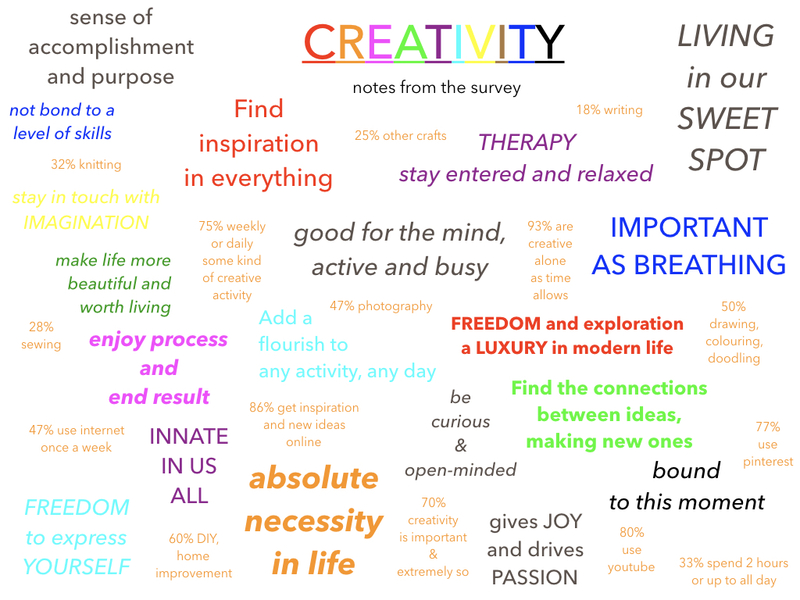 I was reminded of that when I dug out the results from the survey I conducted, on the topic of creativity. I arranged some of the notable responses and trends from those data points. I always find it encouraging to look back at this and see myself here. This is what creativity looks like to normal people, who are doing the best they can each day. 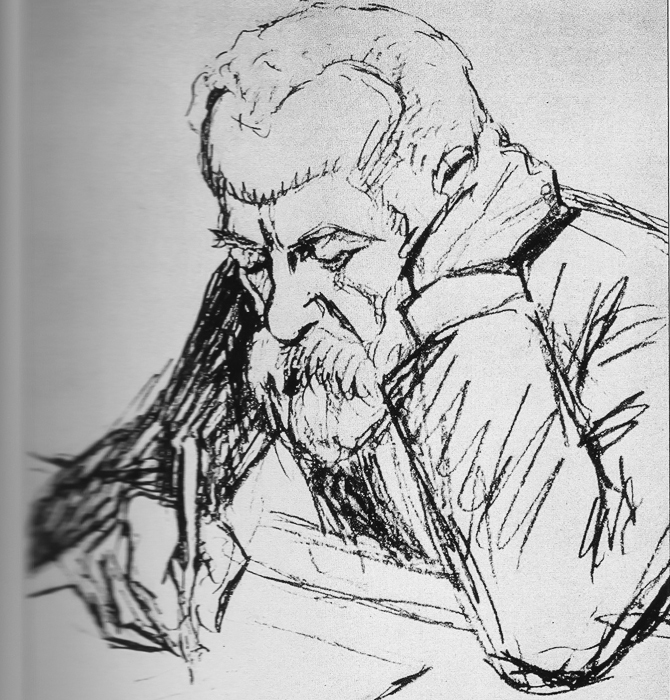 When I did some research on Gaudí, it was strange to imagine his life. How he worked, what he thought and who he was. This is all foreign to me. More than the distance of time and geography, the mind which created what I saw inside the basilica, was working in a different way. However, it is not to say he didn’t have a lot of help. Beyond all the people who assisted him while he was alive, it is a testament to the people of Barcelona and Catalonia who continue to pursue this legacy to completion. That in itself, is remarkable. I don’t know many people in my day-to-day life who would dedicate themselves to a cause like this, especially over their whole lives. 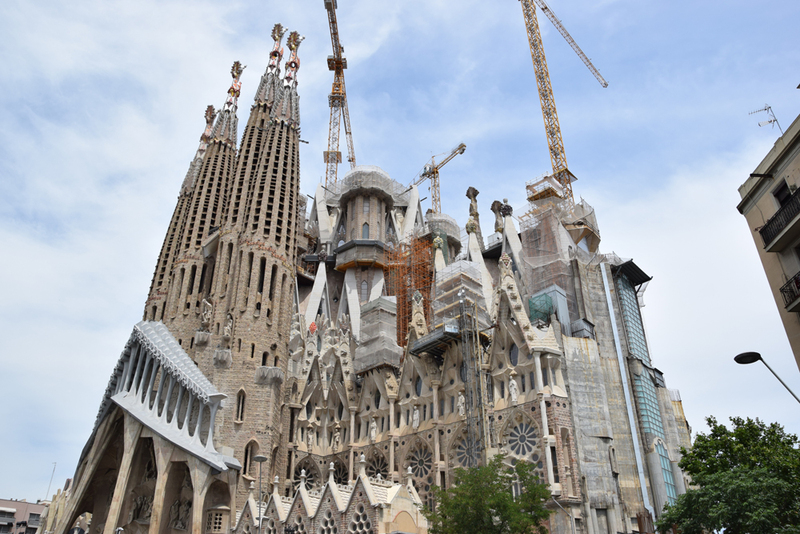 While it is a not a physical wonder of the world, after all we know intellectually about how this building is being constructed, it is a wonder of the human imagination. The kind of community who can band together towards a common goal and provide a lasting legacy of epic proportions, these are unique souls. Motivations to be involved, probably span a spectrum. Some will do this for their faith, others for the unique architecture or maybe even a notable addition to their CV. I am continually impressed by the end result, or in this case, the work in progress. Well done! I also think there is something profound to be experienced and learned from visiting a site like this. We all need to feed our creative spirit. 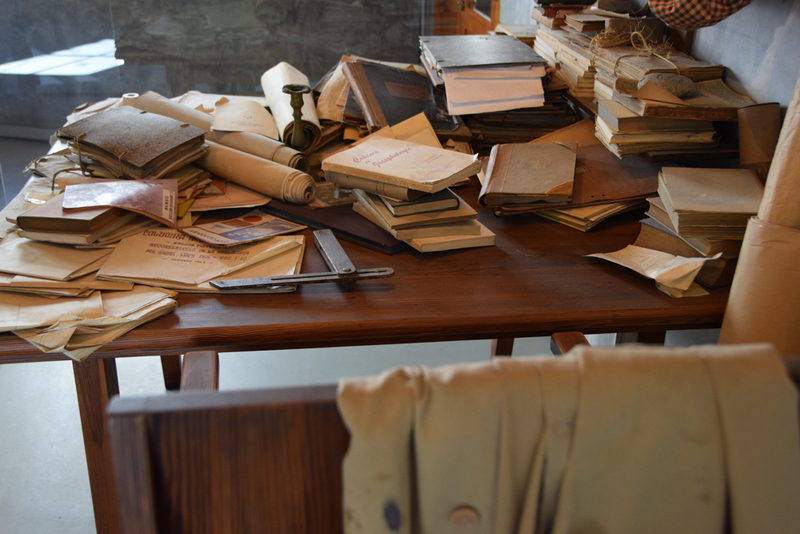 We can’t chain ourselves to a space, a desk, day after day and expect the creativity to continue to flow. Even Gaudí spent time in nature in order to fill up his creative reservoir. So I take a way a few key points from this visit, which I am incorporating into my work. The power of light! I have always known that light is important to me. My home in the worlds most Northern rainforest can be lacking in sunshine hours during the winter months. That fact can get you down, even though the temperatures are rather mild. Light, then, is extremely important. If there is a way to also add color to the light, I think that is a winning combination. There is a feeling of space, created by the vertical height, in combination with the list. I wonder if I can create that illusion to my spaces back home with floor to ceiling mirrors? 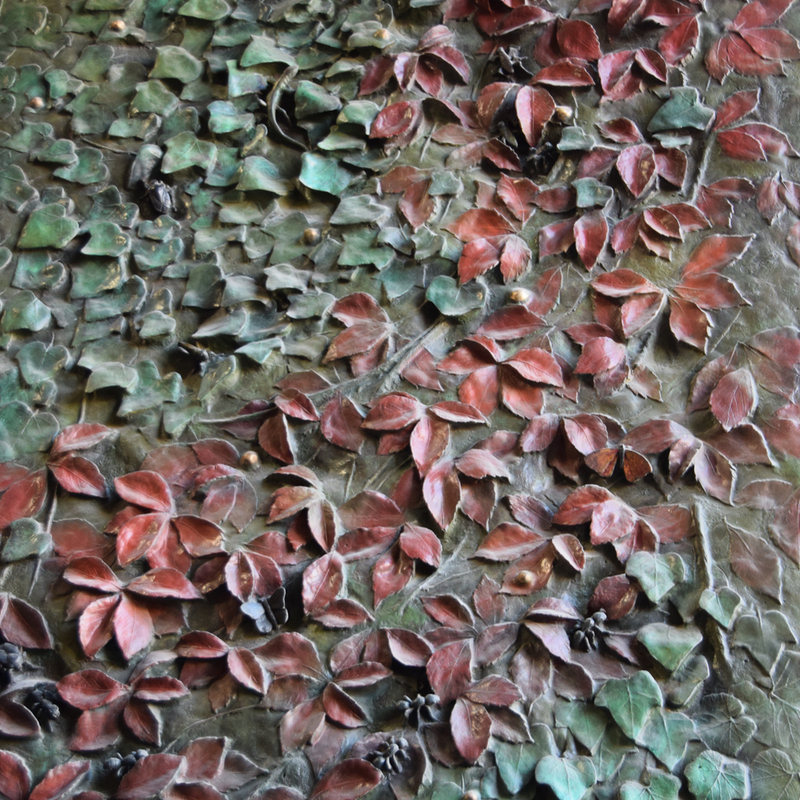 Decoration of ordinary, well used surfaces, like a door or a sink. The feeling you would get by these features, in your home each day could not be under estimated. We tend to think of these things as completely utilitarian. Maybe there is a way to spruce my doors up a bit and add this element into my life. 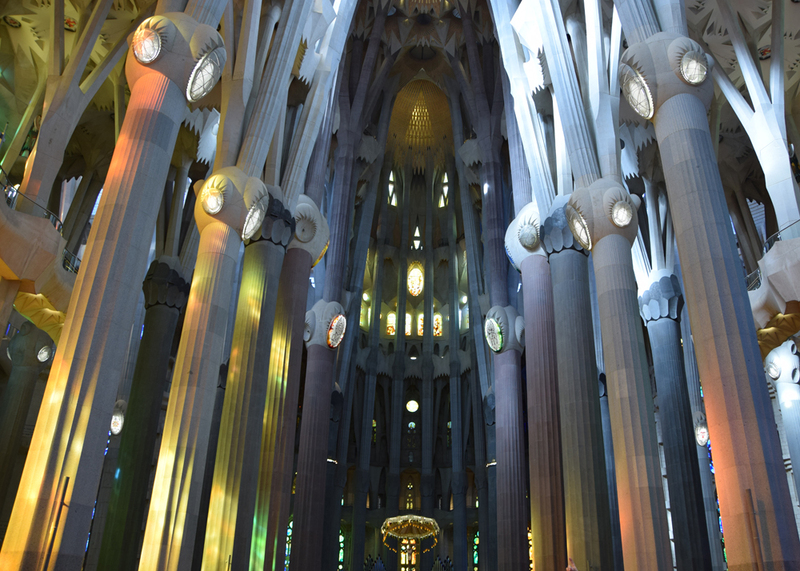 The overall feeling of calm and serenity when I was sitting inside Sagrada Família cannot be overstated. I’ve never experienced that before. Many of us have those feelings in nature. The question becomes, how to incorporate more natural elements into our daily lives. This is a worthy goal and one I will be thinking about as we continue on our travels. ← Why do people stare when I knit in public?